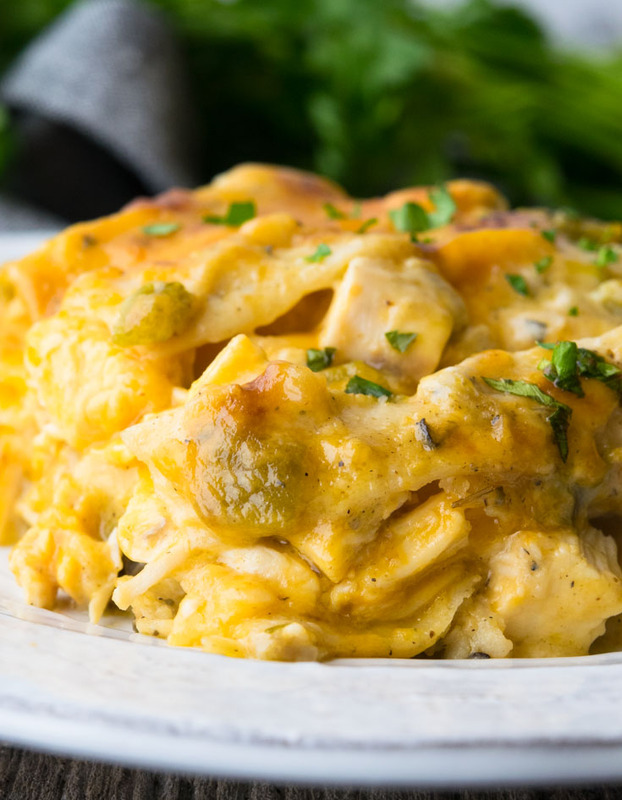 Always a hearty family favorite, Chicken Tortilla Casserole makes the most of convenient ingredients while packing tons of rich flavor in every creamy bite! I honestly wish casseroles were a food group! I absolutely love them. 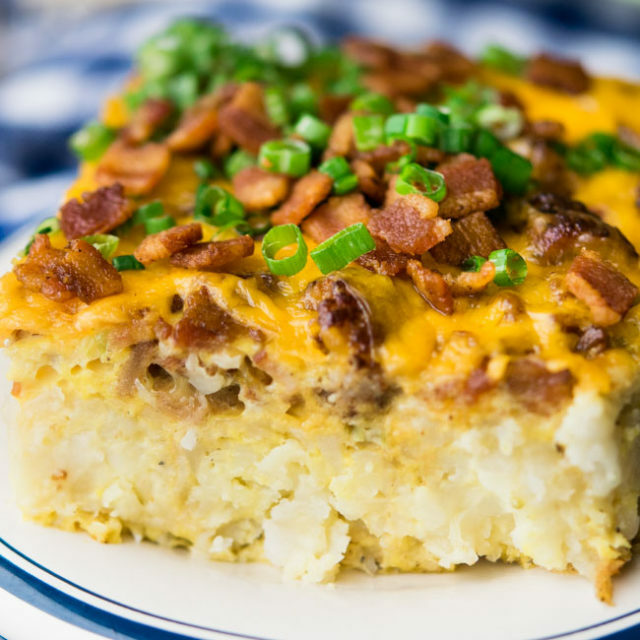 In my opinion, they are a near perfect meal with their yummy mix of flavors, hearty layers, and of course- cheese! 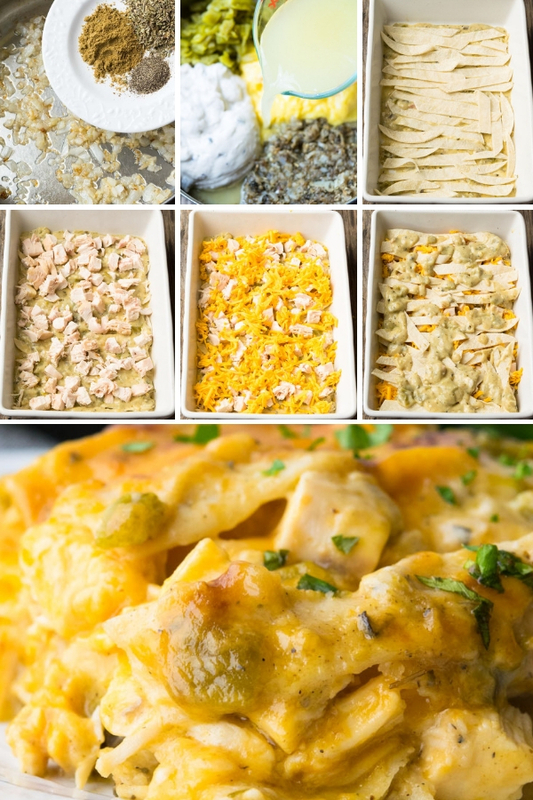 Chicken Tortilla Casserole is at the top of my all time favorite casserole list. It’s a snap to prepare, making it perfect for even a busy mid-week dinner! 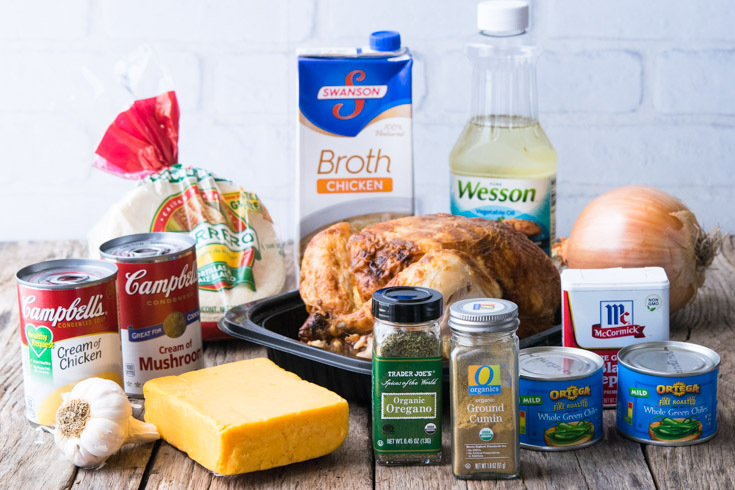 This Chicken Tortilla Casserole recipe uses prepared soups and rotisserie chicken to add convenience. Chicken Tortilla Casserole Pioneer Woman style uses freshly diced tomatoes and a homemade enchilada sauce which does require a more lengthy preparation. 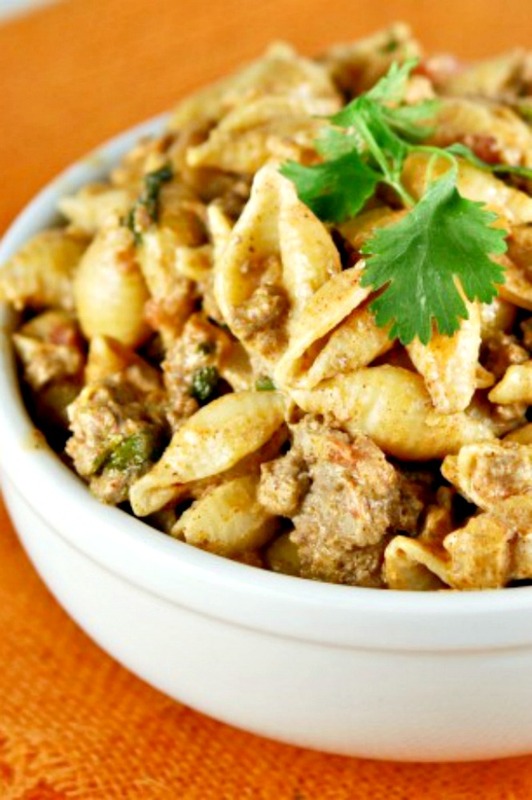 The quick prep of our Chicken Tortilla Casserole makes it a regular go-to dinner in my house! In this Chicken Tortilla Casserole cream of chicken soup is a base component of the sauce. The creamy sauce pairs brilliantly with the melted cheese and savory chicken. Chicken Tortilla Casserole Rotel tomatoes are a common variation of the recipe. Simply drain and add into the sauce mixture to incorporate that tomato flavor! If you’re looking for a recipe without soup, consider our White Chicken Enchiladas with Sour Cream Sauce. The from-scratch sauce is creamy, topped with cheese, and completely delish! If you’re looking for a more traditional Mexican type enchilada, try our Cheesy Chicken Enchiladas! 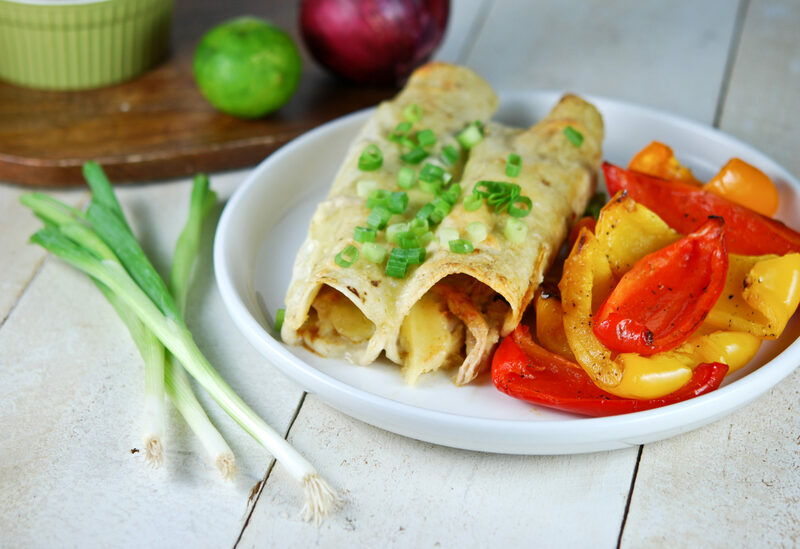 They pull together easily, and each enchilada has a cheesy chicken filling that is sure to have everyone asking for seconds! The creamy, cheesiness of the sauce- YUM! In this Chicken Tortilla Casserole recipe cream mushroom soup, cream of chicken soup, and chicken broth make the base for the sauce. You’ll also need a rotisserie chicken, cheddar cheese, and corn tortillas. It’s important to use corn tortillas because they hold up in the sauce better than flour tortillas! Green chiles, onion, garlic, pepper, cumin, and oregano are called for to add flavor, and a splash of vegetable oil is needed to sauté the onion and garlic. To make Chicken Tortilla Casserole, you’ll sauté the onion and garlic and mix in the soups, broth, chiles, and spices to make a sauce. Then you place several layers of sauce, tortilla strips, chicken, and cheese in a baking dish and cook until everything warm and bubbly! 1. Preheat oven. Spray the baking dish with nonstick cooking spray. Sauté onion and garlic in a skillet. 2. Add in cumin, oregano, and black pepper. Stir. 3. Add chilies, chicken and mushroom soup, chicken broth, whisk until combined and smooth. 4. Pour 1/2 cup of the sauce on the baking dish. Spread 1/3 of the tortilla strips evenly on top of the sauce. 5. Spread 1/3 of the remaining sauce. 6. Add 1/2 of the chicken. 7. Sprinkle 1/3 of the cheese. 8. For the second layer, repeat instruction 4 to 7. For the third and last, layer with the remaining tortillas, sauce, and cheese. Bake for about 40 minutes or until the sauce is bubbly. In a large skillet, saute onion and garlic until soft and translucent. Add the cumin, oregano and black pepper and cook for about 1 minute, stirring constantly. Add chilies, including the juice, both soups, and chicken broth and whisk until mixture is combined and smooth. Pour 1/2 cup of the sauce on the bottom of the baking dish. Spread 1/3 flat of tortillas in a flat layer on top, 1/3 of the remaining sauce, 1/2 the chicken, 1/3 of the cheese. Continue with the second layer of 1/3 of tortillas, 1/3 of the sauce, the remainder of the chicken, 1/3 of the cheese. Finish with the third and last layer with the remaining the tortillas, the sauce, and the cheese. Bake in the preheated oven, uncovered, for 35-45 minutes or until heated through the center and sauce is bubbly. Shredding chicken: To shred a rotisserie chicken, first remove the skin and discard it before removing the meat from the bones. You can use 2 forks and pull them in the opposite direction through the meat. Of course, your fingers work to shred chicken as well, which is generally how I do it. Is This Casserole Spicy? 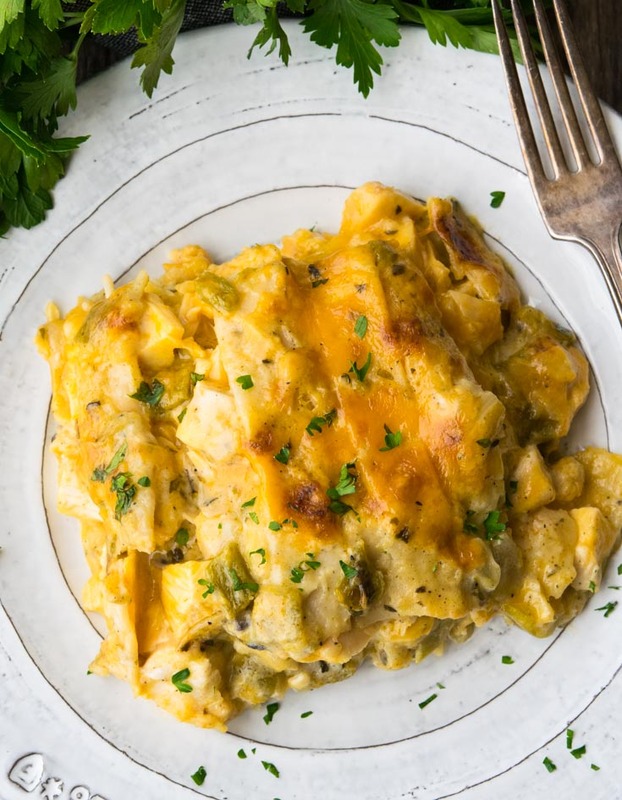 Sometimes referred to as Green Chile Chicken Tortilla Casserole, there isn’t any heat in this casserole. The chiles are mild and add great flavor, but no zing! The cumin and oregano combine to bring out the savory flavor of the chicken and accent the creaminess of the sauce. It’s all in perfect balance! 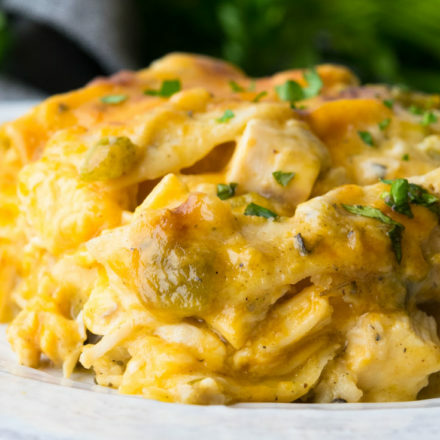 Lighter Version: For a Chicken Tortilla Casserole healthy version, you can lighten this recipe up by using reduced fat or fat-free soups and cheese. You can also decrease the cheese a bit and not sacrifice the creaminess of the sauce! 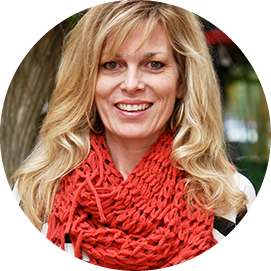 Other Versions: Other versions of the casserole, including the Chicken Tortilla Casserole Martha Stewart and the Chicken Tortilla Casserole Trisha Yearwood make, have their own take on the sauce. Martha Stewart uses sour cream as her base, and Trisha Yearwood goes a southern route with a scratch made chicken gravy. While both are excellent options, they definitely take longer to create. Every bite of our Chicken Tortilla Casserole is bursting with creamy spiced chicken. No one will ever know that you didn’t spend hours creating every bit from scratch, and it’s perfect to serve as a weeknight dinner! 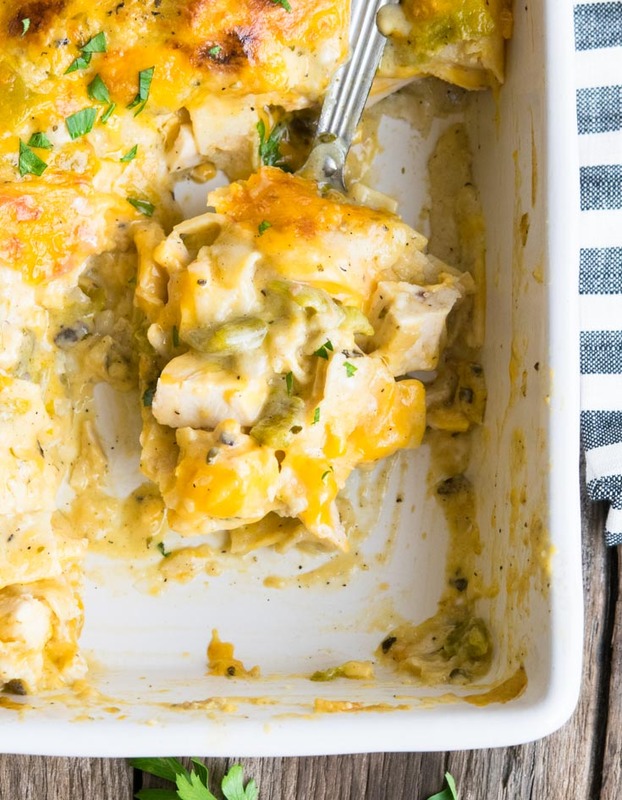 Make Ahead: You absolutely can make Chicken Tortilla Casserole ahead of time! 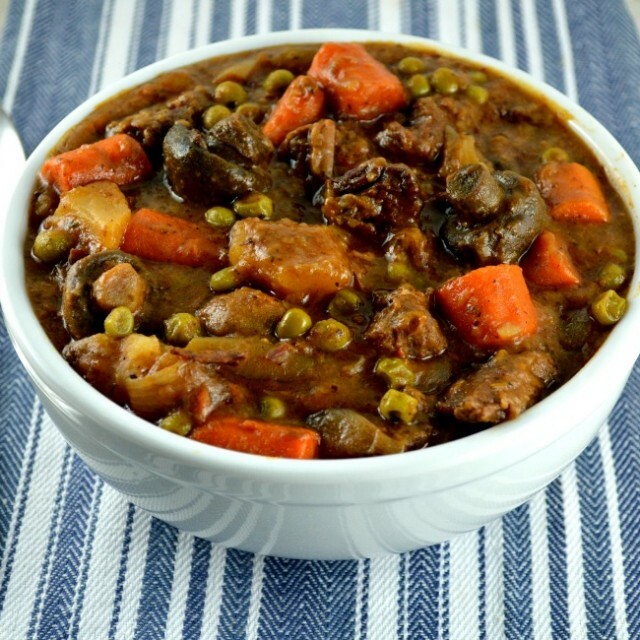 Make it a day ahead if you’ve got a hectic schedule but want a hearty supper to heat up. It also freezes beautifully! Remember when using chicken, even cooked rotisserie chicken, to use good food safety practices! 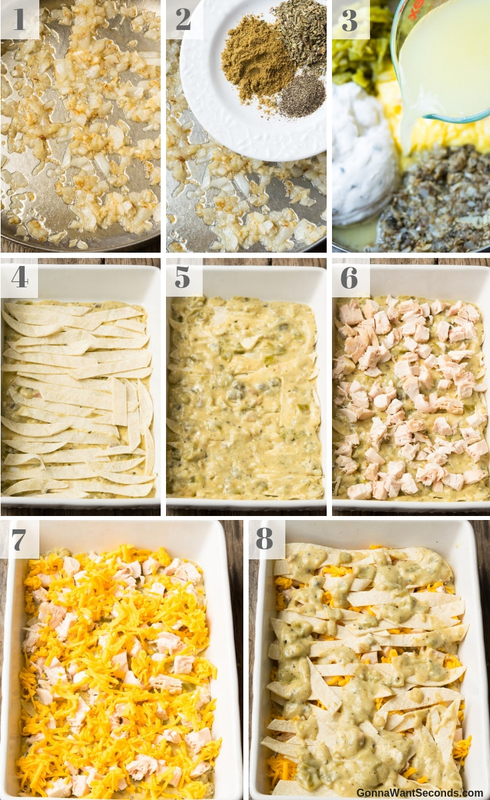 Freezing: You can definitely freeze Chicken Tortilla Casserole. 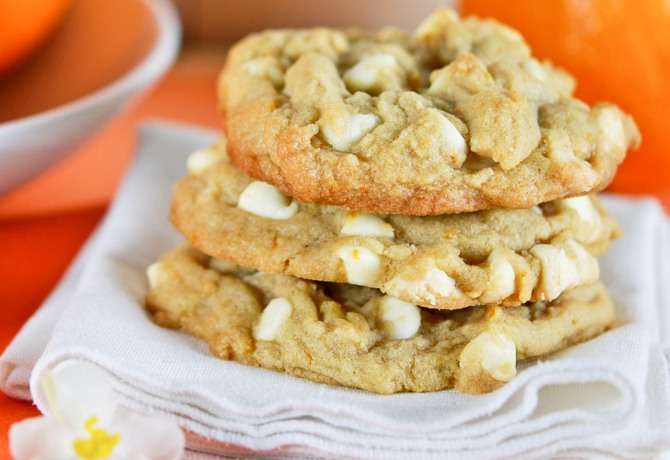 It’s a great recipe to double. Make one for now and freeze one for later! You can also freeze the leftovers. To freeze, use an oven proof pan and prepare the casserole. Wrap the whole pan in a couple of layers of cling wrap. Top it off with a layer of foil. Don’t forget to label and date it! It will be good for at least 3-4 months without any loss of texture or flavor! Serve With: Casseroles, as a rule, are pretty filling and basically a meal in themselves. 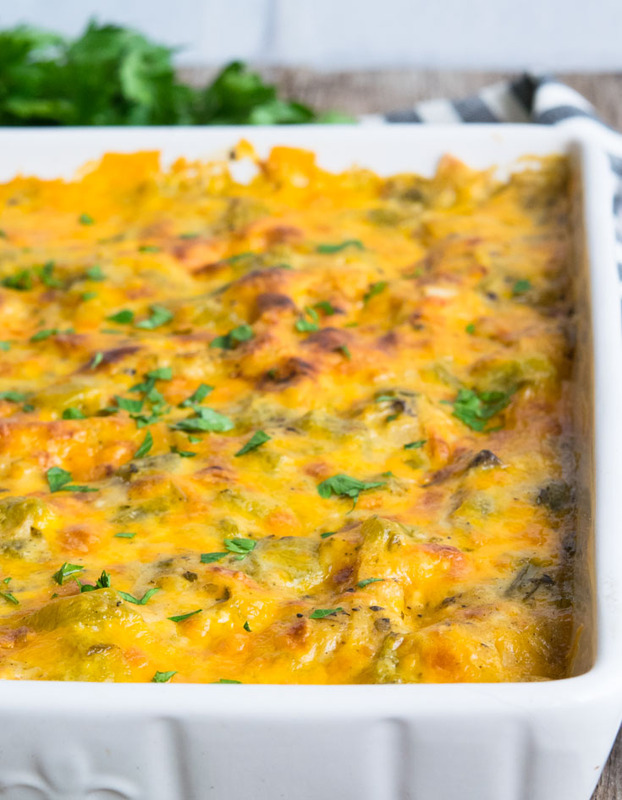 A side salad with guacamole or some chips and salsa would pair beautifully with this casserole. 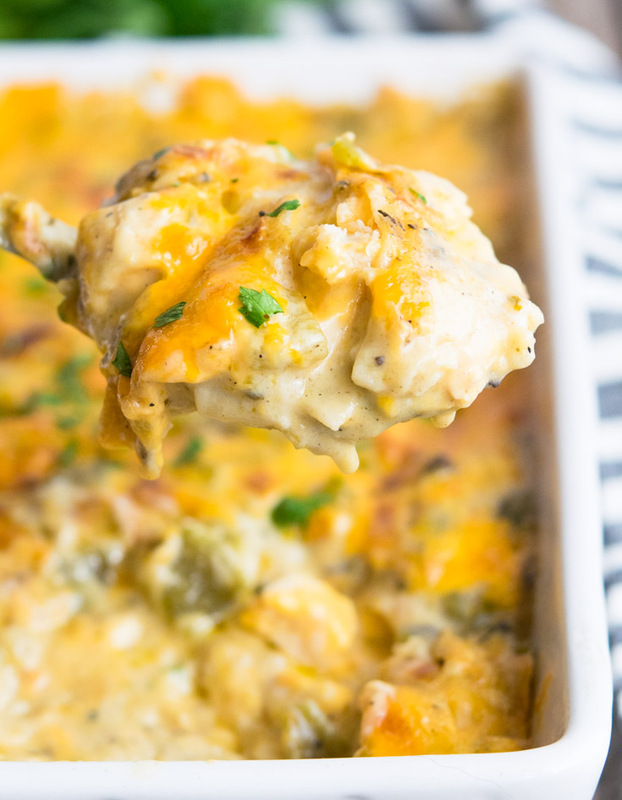 Looking for a low carb chicken casserole? 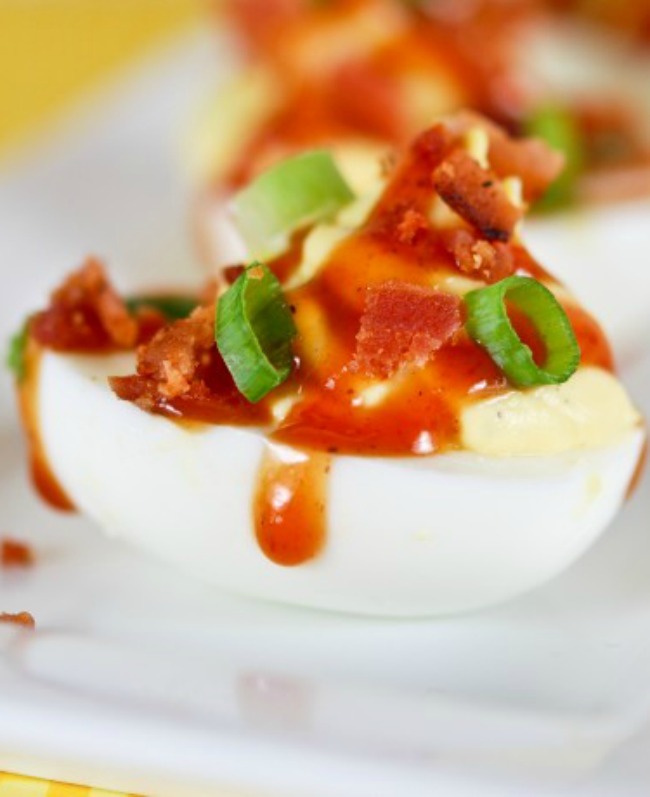 Check out this delicious recipe by Little Pine Low Carb! What are your thoughts on adding Rotel to this?? This is also known as King Ranch Chicken Casserole. it is delicious! It’s been a while since I’ve made a casserole here, this will be our dinner for tomorrow!